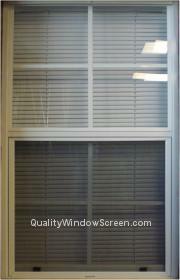 Single Hung Window Insect Screens normally covers only the bottom half of the window. First check for a U-Shaped Channel at the Top (Under the window center bar). 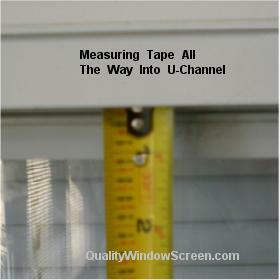 You should find a U-Channel that may be 3/8" to 1/2" deep. This is where the top of the screen with Leaf or Tension Springs will slip up into. 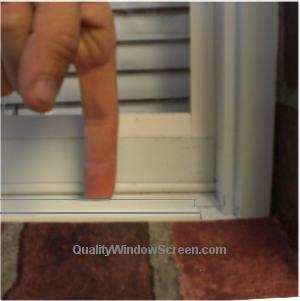 Note that this particular window has 2 lips on bottom, so find the right one if yours has 2. 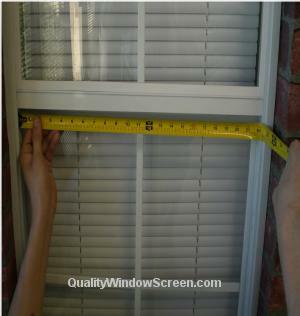 You should find the Lip may be only 1/16"" to 3/16" deep (Not as deep as the top). This is what the bottom of the screen will slip behind to hold it in place. 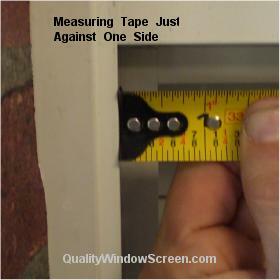 You should measure to 1/16"-1/8" Above of the Top Edge of the Bottom Lip. U-Channel, it has to be short enough to clear the top edge of the Bottom Lip, then the springs push the screen down into place behind the lip. 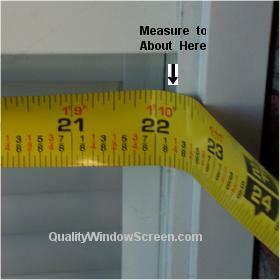 Place measuring tape top left side of window screen opening. 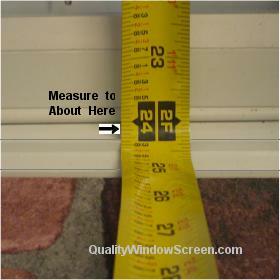 Measure to the right side and Subtract about 1/16". Leaf Springs or Tension Springs on Top; Lift Tabs on Bottom. 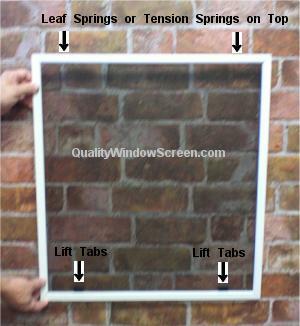 First, insert the top of the window screen with the springs into the deep channel enough to compress the springs. Then slip the bottom of the screen behind the bottom lip. The springs should push the screen down to hold it in place. 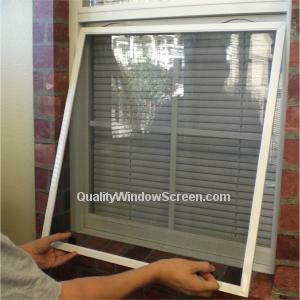 Quality Screen Co. Offer These "How To" Guides to Provide Some Guidance and Tips on Various Activities Related to Measuring, Ordering or Installing Window Screens, Solar Screens, Roll-Away Retractable Window & Door Screens, Porch & Patio Screening Systems and Other Do-It-Yourself Screening Projects. 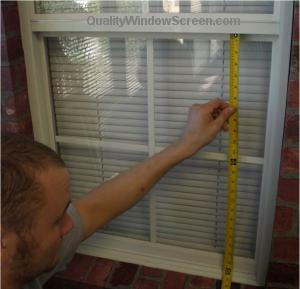 Remember That We Cannot See Your Windows or Doors and That You Are Responsible For Determining Your Own Specific Installation Needs. If the How To Guides Do Not Seem to Describe Your Project or You Do Not Understand Them, Feel Free to Contact us. 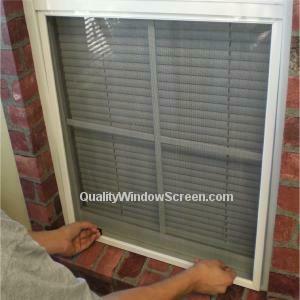 Just a note to say we are pleased with our solar screens and with the super-fast delivery times for a custom-made product. I would recommend your company to anyone.